The Warwick District Sporting Car Club Inc was formed on the 14th December, 1954 by a small group of Motor Sport enthusiasts, with Rally’s being the main types of events conducted. In 1964 the Club held its first major event with a hill climb being run on Weewondilla Hill (on the streets of Warwick), this event was won by Dennis Geary. On the 29th October, 1967 a permanent hill climb venue was opened on the edge of town which was to be known as Weewondilla II. In 1965 the Club was granted access to land at Morgan Park where Motor Gymkhanas were a regular events. 1968 saw the grading of the first motor racing circuit at Morgan Park, with the race meeting conducted of the 16th March, 1969. The major race meeting of the year was the October Rodeo Meeting which in 1970 received an hours television coverage from what is now Channel nine. The 25th Anniversary of the club was celebrated in 1979 with a Dinner attended by Guest Speaker the Late Peter Brock. The late 80’s and early 90’s saw minimal activity at Morgan Park due to a lack of interest and access to Public Liability insurance. In 1994 the club celebrated its 40thAnniversary with the Late Gregg Hansford as a guest speaker. In 1997 a low interest loan from the Warwick Shire Council was approved to bitumen seal the original 730m track at Morgan Park. With the approval of another loan in 1998, the Easter break saw preparations begin to extend the circuit to 1200m. In 2000 the first stage of pit garages were constructed and the Qld Super Sprint Series was born. 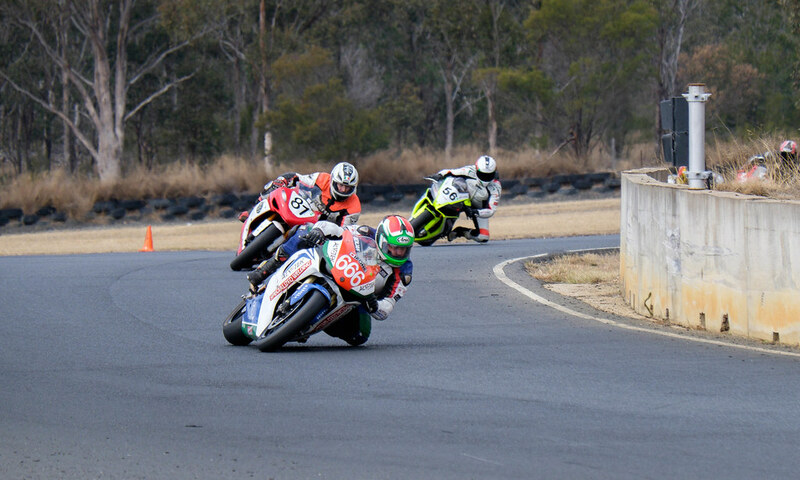 2001 saw our next loan of $250, 000 approved by Council, this allowing us to extend the circuit once again, this time to 2.1km allowing for State Championship Motor Racing. From here on life has never been the same at Morgan Park Raceway. With earthworks commencing in January 2002 and the bitumen being laid at Easter the first Round of the Qld Motor Racing Championships held at Morgan Park Raceway was on the 21st & 22nd September 2002. From then on things have gone from strength to strength with improvements happening all the time, to what we have today. In December 2006 the Circuit was fully resurfaced, keeping it as Queenslands Premier Motor Sport Venue. In 2007 all 6 Rounds of the Qld Motor Racing Championship were held at Morgan Park Raceway, along with the Formula Vee and Improved Production Touring Car Nationals in September of the same year.